While discussing the changes in the search industry with a B2B marketing colleague earlier this month, he mentioned that many marketing professionals may be confused about SEO, particularly when it comes to advising clients on search initiatives. The commoditization of various SEO services further complicates B2B marketers’ understanding. More product-oriented SEO sales strategies set an anchor on perceived value, establishing expectations for all SEO service providers. Where this gets complicated is with SEO providers that offer more consultative programs to their clients, since campaigns combine a mix of tangible deliverables (like content marketing assets) and strategic analysis. Following are five SEO services that could be pitched to clients in a more commoditized manner, and what B2B marketers need to consider in their evaluation of these services. Any reasonably experienced social media marketer knows that the quality of the network and updates matters most. Social media numbers (i.e., followers, updates per day, etc.) matter only if they can be linked to practical business results. Even so, we still field questions on the validity of “packaged” social media programs from clients and prospects. It’s difficult to put a tangible value on building a relationship in social media, especially across industry verticals. Buying followers and likes often leads to spam — and social media platforms monitor and potentially penalize profiles that engage in such activity. While B2B marketers should evaluate reporting tools to better understand when or what content resonates best with their audiences, there isn’t a magic number of updates clients should make. Consistency matters, but so does developing an understanding of your target audience’s interests, as well as how your organization’s solutions apply to those interests. I find it ironic that while content (in particular copy) is such a fundamental part of the performance of almost any B2B marketing program, it’s likely to get scrutinized the most when it comes to pricing. One of the reasons marketers look at content (copy in particular) in more of a commodity-like fashion is because writers often charge by the word or volume of words. To that extent, a certain level of market pricing should be expected when it comes to content development. But marketers should also consider strategic direction when mixing content production with broader content marketing efforts. What experience does the writer/creative team have with your industry/solution? How will the content marketing asset(s) be integrated into your SEO and online marketing initiatives? How significant will this content asset(s) be in your B2B SEO strategy? Some content marketing assets are more important than others. Marketers should develop focused evaluation and criteria for content marketing assets based on the significance and complexity of the content required. As always, it’s important to check vendor references in order to determine that marketers have the appropriate personnel in place for client needs. As an industry, we’re fortunate that Google is taking a more aggressive stance on link building meant solely for SEO positioning. But it’s hard to undo the damage that’s already been done to the perception of value with link acquisition’s overall value, which is still a must needed component of an SEO program. Even though Google put a scare in news release vendors about link value, news releases are still an important part of B2B marketing tactics. Similarly, the links acquired in news release distribution are often still an important metric for evaluating performance. Packaged link building promotions are still available, sometimes basing link pricing on a metric Google acknowledged wasn’t even going to get updated again this year. Paid web directory listings still exist, though they are much less prevalent than they were a few years ago. It has always been difficult to define the value of link building. While directory submissions and other paid placement programs have set benchmarks for pricing in the past, today outreach tactics vary amongst organizations. Investment in link building time and output should be measured with respect to the overall performance of organic search engine traffic improvements, especially those that cannot be directly traced to specific on-site optimization efforts. 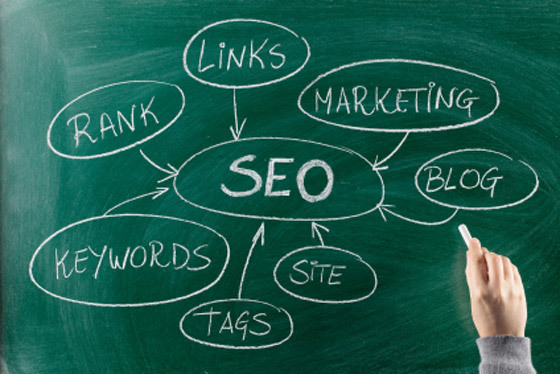 One of the common misconceptions of SEO is that the focus of the program is specific to a small set of keyword targets. We often find ourselves in business development discussions where the initial expectation is that a B2B organization only has a few, often very competitive, keyword phrases to focus on. SEO vendors may tend to market toward this misconception, as SEO packages often incorporate a defined set of keyword targets on which performance is reported (more on SEO reporting below). The problem is that packaged-pricing SEO services can rarely deliver the same analysis of results for a set number of keywords across industry verticals. For example, do you believe that the same level of strategic and tactical effort is required for the following two keyword themes? Assuming the answer is “no,” then why would you expect pricing to remain consistent or rely solely on the number of keywords selected? It shouldn’t. This is not to say that B2B marketers shouldn’t have a core set of terms they focus SEO initiatives around; however, the breadth of keyword phrases that prospects may use to find an organization’s solutions is much more diverse. We often start an SEO campaign based off of a small list of primary keyword targets. This list will expand considerably over time due to more in-depth keyword research and the use of resources like Google Webmaster Tools, Google Keyword Planner, and other free and commercial keyword research tools. The end result is that we have an ever-expanding list of keyword targets, landing pages, and content marketing assets that we use to measure performance. Every SEO vendor offers some form of reporting with their programs. While most B2B marketers would not expect a cost associated solely for reporting, there are many that confuse reporting with analysis. I’ve seen B2B marketers get comfortable thinking that a good report will magically lead to SEO improvements, which it will not. The value in good reporting is the ability to analyze the results of ongoing initiatives and make sound decisions about next steps based on the results. Under the right circumstances, a “price per SEO” offering can make sense — but B2B marketers need to understand the impact and benefits of such an offering before assuming they’ve solved their SEO problem with this type of solution alone. It’s rare that they have. Lastly, I am a firm believer in productivity benchmarks combined with analysis and consultation. SEO partners need to be held accountable for output, just as much as anyone else. That said, it’s dangerous to rely solely on quantity and volume when establishing budgeting expectations. What are your thoughts on the commoditization of SEO solutions? I would love to read your thoughts and perspective via comments below. Conveyor system image courtesy of Cisco Eagle.